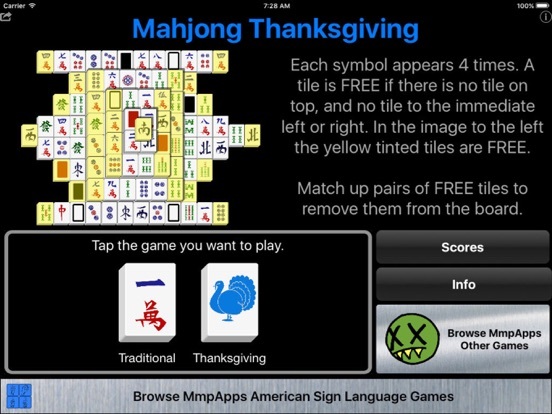 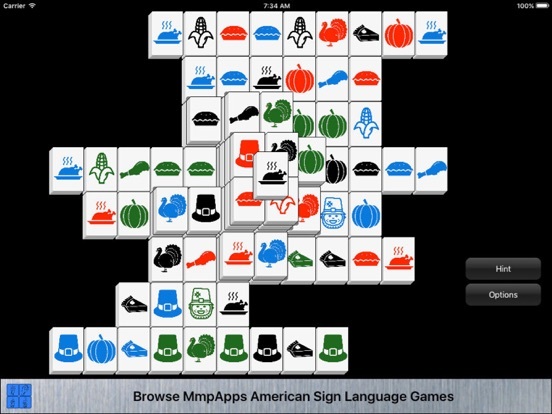 Traditional Mahjong solitaire played with standard tiles or festive thanksgiving tiles. 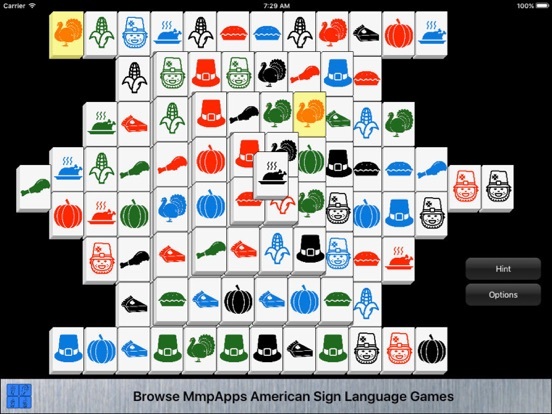 These include turkey's (live and cooked), pilgrims, corn and others. 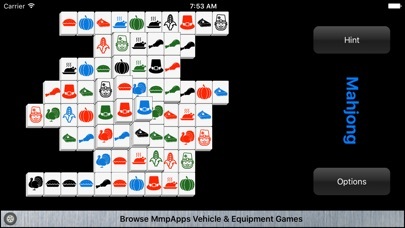 A tile if FREE if has not tile on top and no tile to the left or the right. 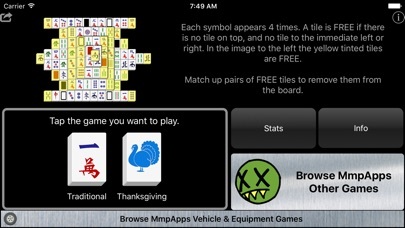 Match up FREE tile pairs to remove them from play. 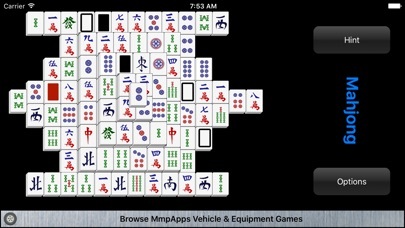 The object is to remove all tiles from play.